Today was one of those perfect days with wall to wall sunshine, blue skies and hardly any wind. It's as if these days occur independently of any season as we've had such days in almost any month of the year and somehow they all feel the same. This weekend was supposed to bring very cold weather with Arctic air and I must admit that it was cold yesterday, but today was a different story. We walked in our t-shirts on the Ardnave beaches and it was heavenly! The Islay Pollinator Initiative is an exciting project to be involved in, the first of its kind, an all-round approach to habitats, pollinators and honeybees on the island. 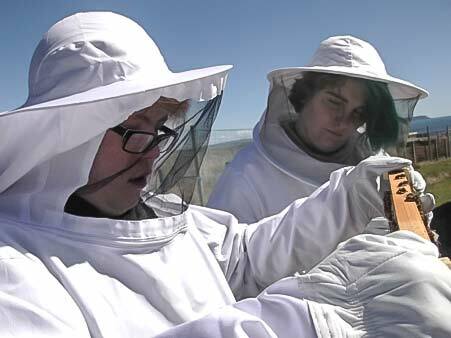 It's a broadly focused project looking at all native pollinators, butterflies, bumblebees and other insects and improving habitats for them, the project also sets out to develop a social enterprise in honeybees and products that can be gained from wax and honey. 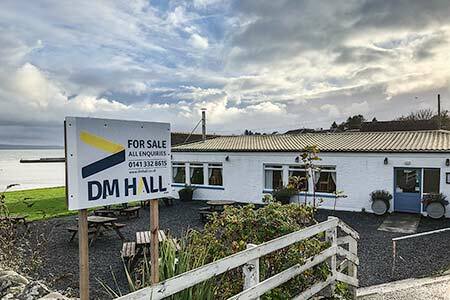 In the pretty conservation village of Port Charlotte, on the shores of Loch Indaal, is a great opportunity for someone who wants to take over and run an already successful restaurant. Yan's Kitchen, which has an excellent reputation, is for sale since a few months. The current owners have decided to sell this lovely place and are looking for a new owner. With Islay getting busier each year there is a huge potential and it's an ideal start for someone to step in and follow up on the successes the previous owners had. The current restaurant has an average 4.5 rating on Tripadvisor and an average 4.4 rating on Google which is very good. In the last days two American Hunters operating under the name of Larysa Switlyk twitter.com/@LSwitlyk posted photos on Instagram and Twitter showing off the killing of a Feral Goat and Ram on Islay, see below. Many folk were appalled by the images. Although Feral Goats are roaming around the island in many places they are not part of some sort of culling scheme and as far as I know there is no regulated hunt on Goats as there is on the Red Deer population. And besides that, there is a big difference in hunting to regulate animal populations and trophy hunting which, in their case, was for the "fun of it". Apalling indeed!